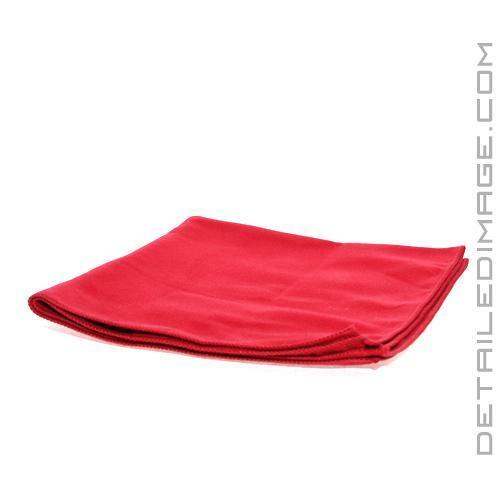 Super soft and versatile light cleaning microfiber towel! The Gtechniq MF3 Micro Suede Cloth is a super soft cloth, designed for safe and easy light cleaning tasks! When cleaning light dust or dirt from surfaces, sometimes a longer microfiber pile can catch onto the surface, causing the towel to bunch in your hand and stick in place. This can make cleaning frustrating. The MF3 towel features an extremely short pile that effortlessly glides across the surface of your paint, dashboard, trim, and so much more. You can even use the MF3 wet or dry. When used wet, the capillary action of the towel means that dirt is absorbed into the cloth and draw away from the surface. This increases the safety of your cleaning process! If you are looking for a great light cleaning towel, the Gtechniq MF3 Micro Suede Cloth is a fantastic choice!